The Shanghai Cooperation Organization (SCO) was founded by the Russian Federation, People’s Republic of China, Kyrgyz Republic, Republic of Tajikistan, Republic of Kazakhstan and the Republic of Uzbekistan. On June 15th, 2001 SCO was proclaimed by its member nations in Shanghai, China, as an intergovernmental organization. Until July 9th, 2015, it had five observer states (Afghanistan, India, Iran, Mongolia and Pakistan) and three dialogue partners (Belarus, Turkey, Sri Lanka). Since its inception, the main objectives in the agenda of SCO are: friendly relations among its member countries; dynamic cooperation in regional security, internal stability and political relations; ensure sustainable socio-economic development; promote trade and economic partnership; embrace cooperation in the fiends of science, energy and technology; implement cultural and educational partnership; adopt projects intended to address agriculture and environmental protection. On July 9-10, 2015 in the City of Ufa, Russia, was held a Presidential Summit which marked the conclusion of Russia’s presidency of the Shanghai Cooperation Organization during the last year. 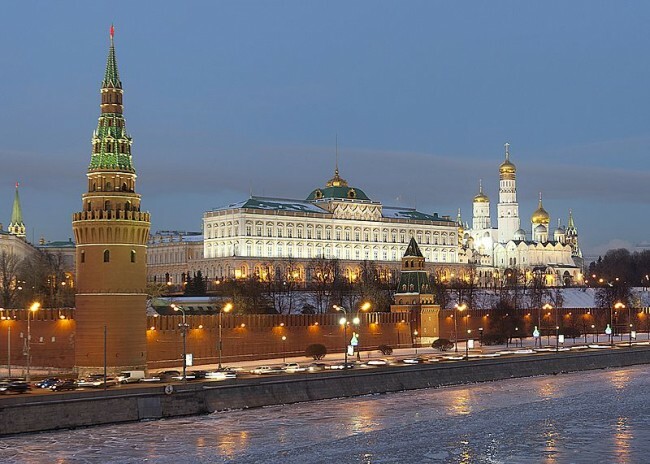 Under the leadership of Russian President Vladimir Putin, SCO focused on developing collaboration among member countries on all areas that are pertinent to the organization and in the meantime its influence and prestige abroad was further strengthened. Among the highly pertinent agenda items discussed in this occasion were: the future of this organization’s Development Strategy through 2025; the signing of a new border administration agreement and set the course for further cooperation in fighting terrorism and drug trafficking. The SCO Summit in Ufa, for the first time opened its doors to initiate the accession procedure of India and Pakistan as two candidate countries to become full members of the organization. Additionally, the Republic of Belarus has acquired the status of an observer country and the SCO leadership extended a warm welcome to the Republic of Azerbaijan, Cambodia, Armenia and Nepal, as the newly selected countries that were approved to become dialogue partner nations. In Ufa the member nations of SCO agreed to bolster the cooperation between the respective defense ministries in order to effectively monitor the threat situation and coordinate joint actions to prevent potential threats in the region. The six heads of state unanimously agreed to strengthen the military drills while conducting annual counterterrorist exercises. Meanwhile, the SCO Special Forces have conducted military training at a US-Funded military base in Kyrgyzstan. In the city of Ufa (Russia) was also held the BRICS – SCO Financial Forum, which addressed the following items: the contribution of financial institutions towards the promotion of regional infrastructure development projects, support for sustainable economic growth initiatives, innovation in technology and social welfare stability. The Republic of Azerbaijan as one of the new observer countries, will take advantage to strengthen the economic, trade and political ties with a multilateral organization that represents over 1.5 billion people and a significant majority of the Eurasian territories. Azerbaijan is one of a very few countries in the world that has immensely contributed and invested significant resources towards the global humanitarian issues and respect for human rights. Humanitarian cooperation is an important initiative to SCO member countries, as a result they all can learn from the successful experiences that Azerbaijan has to offer. Over the recent years Baku has demonstrated a dynamic economic growth, constant increase of the Gross Domestic Production levels and an admirable financial and fiscal stability; such characteristics make the Land of Fire a suitable and reliable partner of the SCO. Among the countries that were newly admitted as the SCO Dialogue Partner members (Azerbaijan, Armenia, Cambodia and Nepal), Azerbaijan has the highest GDP per capita and has the lowest inflation rate when compared to the other three nations. As an example the inflation rate of Nepal is eight times higher than that of Azerbaijan. Moreover it must be highlighted that the inflation rates (2014) of the Russian Federation, India and Pakistan (two SCO member states admitted on July 10th, 2015), Turkey, P.R. China, Iran, Tajikistan and Kyrgyzstan, are much higher than that of Azerbaijan. Such an accomplishment is no easy task; this performance certainly takes Azerbaijan into the new heights of success in the war against poverty. Another reason that highly qualifies Azerbaijan to join this prestigious multilateral club (SCO), are the visionary infrastructure projects, logistical parks, that the Government of President Ilham Aliyev has led forward for over a decade. It is admirable how President Aliyev, unlike any other leader has invested so much time and resources towards connecting Europe and Asia by developing regional projects in the areas of energy, agriculture, communications, technological cooperation, commerce, logistics infrastructure and public transportation. All SCO member countries will have a great opportunity to learn from the best practices of Azerbaijan since the former is highly focused towards boosting regional trade, economy, industry and logistics to mention a few. An important sector in which Azerbaijan can have a leading role at SCO is further cooperation in economic growth, banking and financial sector among member countries. The above mentioned items have been very well underlined in the SCO Action Plan for Implementing the Multilateral Cooperation in Economic and Trade Sectors (2012-2016) among member states. Azerbaijan also can highly contribute in the framework of SCO, by enhancing border security and curtailing extremism in the Eurasian landmass. A highly beneficial aspect for Azerbaijan in the SCO is an additional platform of direct discussions with the leadership of the United Nations Economic and Social Commission for Asia and the Pacific. The participation of Azerbaijan at the regular SCO – UNESCAP meeting sessions will lead to important regional cooperation especially in the sector of regional infrastructure such as the development of Silk Road Economic Zone and the Super Highway, which is considered a model of cooperation – in which Azerbaijan Government can share its expertise – and a great project for the economic prosperity and regional economic improvement. The Republic Armenia is one of the neighboring countries and sole invader of Azerbaijan’s territory. Armenia is located in the western borders of Azerbaijan, has a population of 3.3 million and a GDP of US$ 10.88 billion (seven times less than Azerbaijan). It is a lower middle income country with a number of domestic and international challenges. According to the 2015 Index of Economic Freedom, Armenia is the 52nd freest nation and its overall score has deteriorated by 1.8 points, while showing a worsening of the situation in labor, business and monetary freedom as well as property rights. Armenia has a labor force of 1.3 million people; however remittances from migrant workers play an important role in the national economy. Armenia’s GDP growth is 3.4 percent and the poverty rate has augmented from 27.6 percent in 2008 to 32 percent in 2013. In respect to Yerevan’s cooperation with the European Union, every attempt to open the discussions of Association Agreement with the EU went in vain in September 2013, when the President of Armenia announced publicly that his country would join the Eurasian Economic Union that is led by Russia. Armenian leaders must act fast in order to improve the living conditions, their nation’s potential to attract more foreign direct investments and eliminate the current economic stagnation. 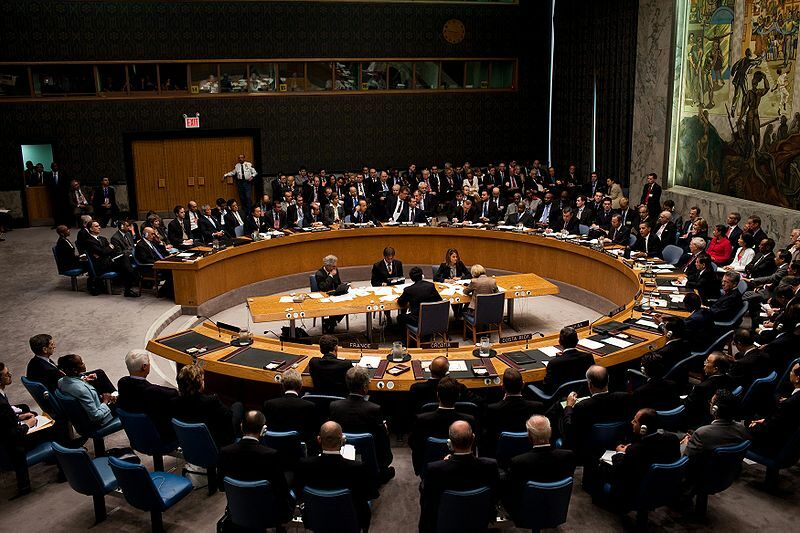 Yerevan must immediately withdraw its military forces from the occupied territories of the Republic of Azerbaijan and ensure the fulfillment of the four UN Security Council Resolutions (1993) in support of the cessation of armed conflict in the Nagorno-Karabakh region of Azerbaijan and respect territorial sovereignty of its neighbors. The Republic of Azerbaijan is the most developed economy in the region, its growth target for this year is expected to be at 4.4 percent while the nation’s economy expanded by three percent last year despite the sharp decline of oil prices. Azerbaijan, as an upper middle income country, will continue to play a leadership role in the banking system, financial services and sustainable use of natural resources. 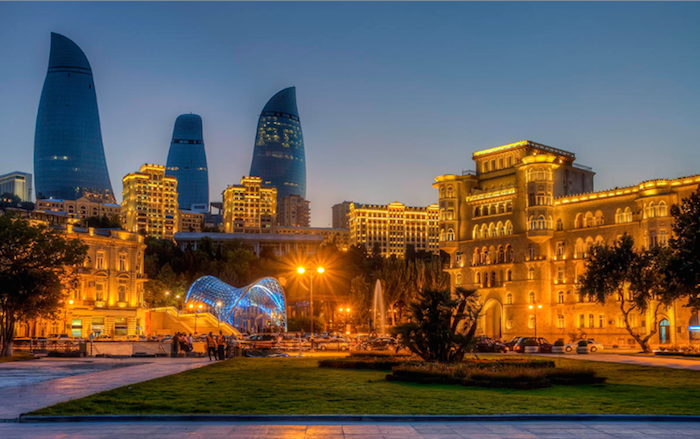 Baku has not been significantly affected by the economic problems that Russia is facing today. Unlike Belarus and other former Soviet states, Azerbaijan has a stable economy and an effective monetary policy. It is ever closer to the European Union and merits a growing attention by the EU institutions and financial entities. Over the next decade we will have a more connected Southern Caucasus region. This region in the cross roads of Eurasia will ripe the fruits of a modern industrial infrastructure and service economies, despite the fact that it has a limited connectivity and almost all countries are landlocked. We expect to have lower costs in transport, commerce and logistics. Economic diversification is key to Azerbaijan’s prosperous economic future; as well as an increase of independence from raw materials would make the region less vulnerable from external distress. Azerbaijan’s government has showed a willingness to make the Caucuses’ region have a better connectivity, promote economic diversification and transportation infrastructure. Azerbaijan continues to suffer tremendous human losses and its territory has been under the Armenian invasion for over 25 years. Additionally, the Autonomous Republic of Nakhchivan, an important historical center for Azerbaijan and the whole human history, unfortunately does not have a geographic-territorial connection with eastern Azerbaijan. Such a one sided isolationist attitude from Armenia towards Nakhchivan must come to an end. Moreover, it is unfortunate that the Nagorno-Karabakh conflict has not been solved for more than a quarter of a century. Armenian armed forces repeatedly violate the cease fire and continue to kill Azerbaijani civilian population since the late 1980s. Only in July 11th, 2015 Armenian forces have violated ceasefire 55 times within 24 hours. The armed forces of Azerbaijan in the Gadabay District received heavy fire attacks from Armenian armed forces located in the Krasnoselskiy district. The Azerbaijani village of Aghdam in the Tovuz district underwent through intense gun fire from Armenian armed forces that were located in Berd district. On December 23rd, 2014, Armenian soldiers opened fire from their positions in the Xojavand region; their only objective was to attack the armed forces of Azerbaijan. On the other hand, since 2005 there has not been a significant growth in the population of Nagorno-Karabakh. The Armenian population in these areas (approximately 15,000 persons according to an OSCE report) lives in precarious conditions, with a poor infrastructure, insignificant economic activity and limited access to public services. Although the OSCE Minsk Group has been around since 1992, it is difficult to measure the tangible successes of this negotiating body. Minsk group has proved to be inefficient, irrelevant and – with the exception of Field Assessment Missions to the Occupied Territories of Azerbaijan Surrounding Nagorno-Karabakh – it has proved to be ineffective towards shaping a prosperous future for the occupied territories of Azerbaijan. The Minsk process of the OSCE is co-chaired by the Russian Federation, United States and France. Unfortunately it has become very difficult to measure the success of this conflict resolution entity that is under the umbrella of the OSCE. There is an immediate need for the International Community to quickly spearhead such a decade’s long conflict outside of the OSCE Minsk framework. There must be a solution to the unremitting slaughtered caused by Armenian’s to Azerbaijani population and territory. It is ironical that other multilateral political and economic organizations, such as the SCO, the Pacific Alliance and BRICS are becoming more pragmatic and efficient towards building highways (15 thousand kilometers of road infrastructure), commercial ties and rail systems at a faster pace than the outcomes and results of the Minsk group negotiation process over the last 23 years. If Azerbaijan as one of the most developed country of the Eastern Europe which carry outs independent policy joins The Shanghai Cooperation Organization it will be only useful for both sides.